Biography: Peter Lilley was born on 23 August 1943 in Hayes, Kent. He was educated at Hayes County Primary School, Dulwich College and Clare College, Cambridge, where he studied natural science and economics. He is married to Gail, a successful artist. Political Career: He was chairman of the Bow Group (1973-75) and a consultant Director of the Conservative Research Department (1979-83). He was Member of Parliament for St Albans from 1983-1997 and, following boundary changes in 1997, he became MP for Hitchin & Harpenden (which includes two thirds of his previous constituency). 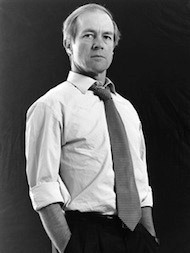 Peter Lilley was Parliamentary Private Secretary to William Waldegrave and Lord Bellwin (1984), and then to the Chancellor of the Exchequer, Nigel Lawson (1984-1987). His first ministerial appointment was as Economic Secretary to the Treasury (June 1987), then Financial Secretary to the Treasury (July 1989). He joined Mrs Thatcherâ€™s Cabinet as Secretary of State for Trade and Industry 1990-1992. Mr Lilley was appointed Secretary of State for Social Security 1992-1997. He ran for the leadership of the Conservative Party in June 1997 subsequently becoming Shadow Chancellor and Deputy Leader of the Conservative Party responsible for overseeing renewal of policy until June1999. In 2006 David Cameron made him Chairman of the Globalisation and Global Poverty Policy Review Group. He will be advised by Sir Bob Gelfof.